A$AP Ferg has revealed plans to follow up last year's Trap Lord LP with a new mixtape called Ferg Forever. 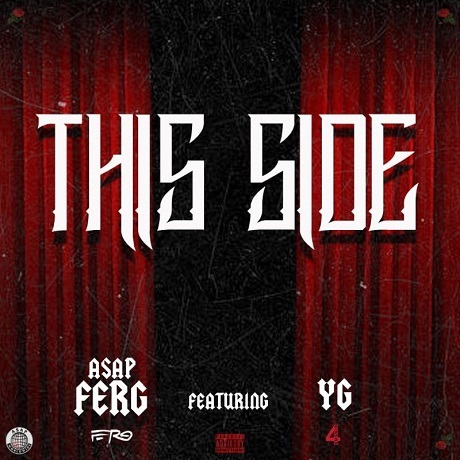 A due date has yet to be affixed to the freelease, but you can check out the set's "This Side," which finds the New York rapper slinging bars alongside "BestCoast Connection" tourmate YG. Produced by The Fam, the track zooms in on codeine-covered beats, the sounds of sleepy but sinister strings and brrrat-brrrat hi-hat work. After detailing drug-love and gang codes in the hook, Ferg uses a wild, nursery rhyme pattern to tell the story of a blood named Donny. There's a lot of gunfire and bodies dropped, with YG similarly shooting off bars about street justice. A due date for Ferg Forever is TBA, but you can check out the rapper's new collaborative track down below. The itinerary for Ferg and YG's upcoming tour has been juggled around a bit, but the pair are still poised to perform at Toronto's Sound Academy November 19.